Recently there have been some great deals on QVC for bareMinerals makeup. As I'd wanted to try their foundation for a while, these offers gave me the push I needed to try it. I bought two different sets containing the foundation along with some other products so I thought I'd show you a look using only bareMinerals makeup. 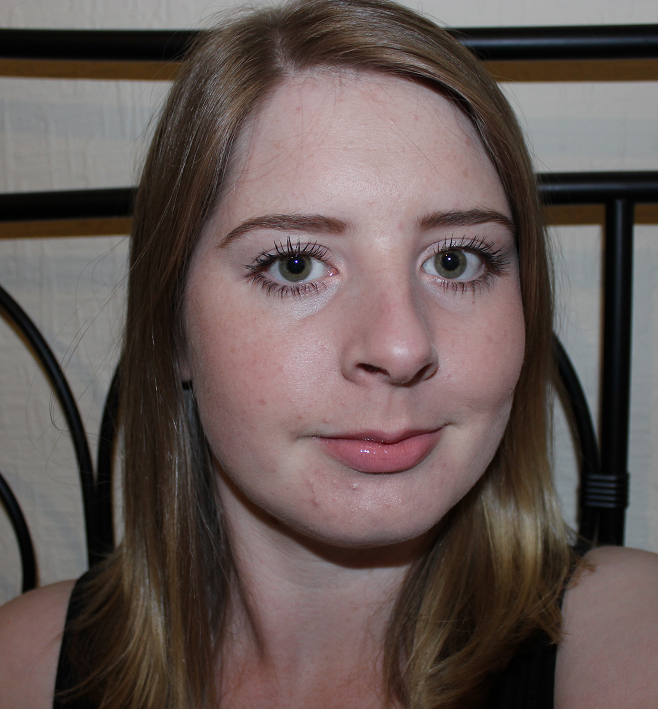 I'm not 100% happy with this primer as the colour is really dark and it's quite hard to blend it in to match my skintone but it makes a great base for the foundation so I have been giving it a go anyway. I think for those with darker skin than me, it will be perfect but as it only comes in the one shade, it's not something I would repurchase. 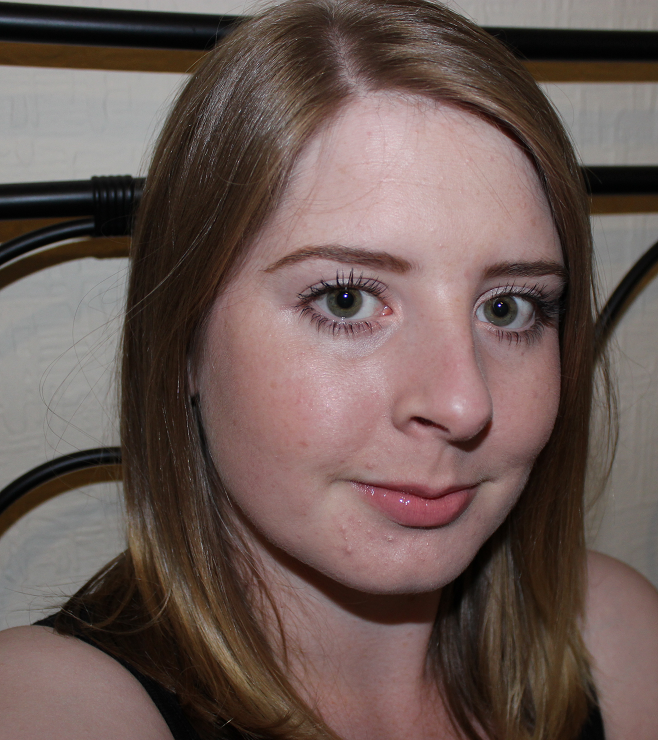 bareMinerals have a great range of shades when it comes to their foundation so I was able to find a shade to match my very pale skin. They have a great colour finder here if you need some help deciding otherwise they have concessions within many department stores so you can go and get matched up in person. The great thing about this foundation is that it's very natural looking and you can get a light coverage or build it up to medium/full coverage. It's quite easy to wrong with applying this though as I first found out. The best tip I can give is empty a little out into the lid, really swirl your brush into it to pick up all of the product then buff it into the skin. 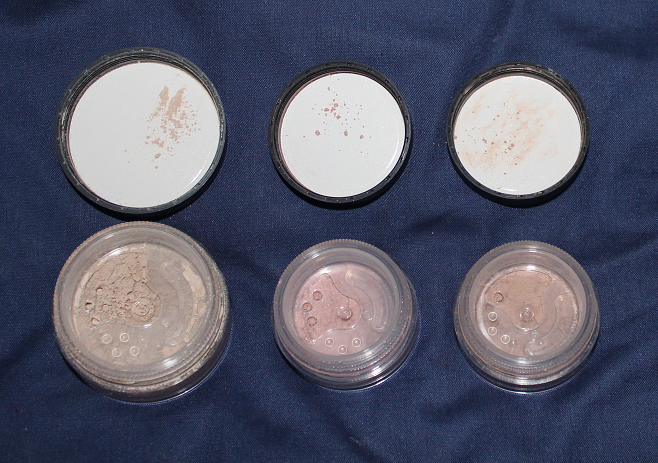 I assumed that the more product you add, the more coverage you get but this is wrong and it made me look cakey. After watching the experts on QVC, I found out that it's the more you buff the foundation in, the more coverage you get as buffing releases the mineral pigments (or something like that!) but it does actually work. I like the way that it doesn't feel heavy on my skin and it leaves a dewy finish. I also don't mind having this on my skin as it's supposed to improve your skin not clog it up! 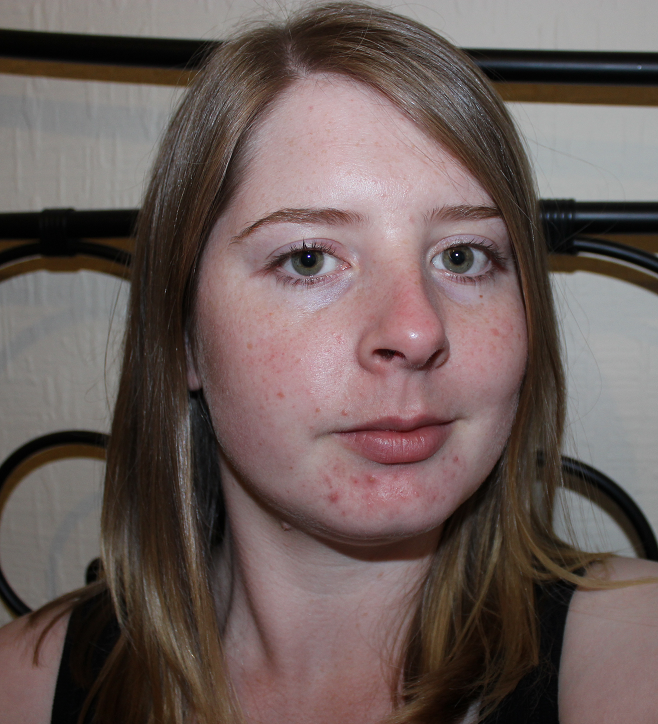 As you can see I have quite a few bad spots on my chin at the moment and whilst this doesn't completely cover them, it takes the redness away and makes them look so much better! I've been loving this eye brightener as it's a great match for my skintone and it's one of the best under eye concealing products I've tried. 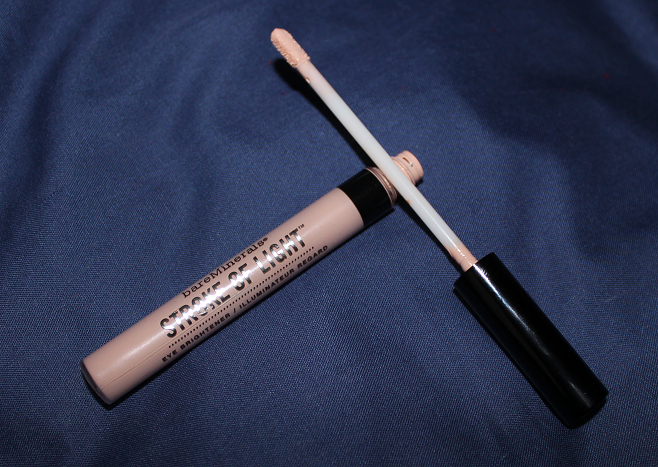 I really like the long sponged applicator as it's quite flat and it makes it easy to apply the product to the skin. It also feels very cooling on the eye area I've found. I quite like this concealer for covering redness around the nose and on the chin as an extra step before applying foundation. I think the shade is slightly too dark for me but once I've got the foundation on it looks fine. This is a brightening, pink powder which I use on my cheeks to give them a glow. It's not an over the top glittery powder, it just helps to give the skin a radiant look. I wouldn't have bought this separately so I'm glad I got it as it's a nice product. Wow, I LOVE this mascara. I've found a new favourite with this one. The 360° fine-toothed comb helps to grab every single lash giving a gorgeous defined look to the lashes. It's not waterproof and I've found it can get a little smudgy if I get really hot but I honestly don't mind that because I love how it makes my lashes look. I really like this lipgloss as it's quite thick and really glossy but not sticky at all. It has a refreshing minty scent and the coverage isn't too sheer. This is a twist up pencil with a very fine tip to help define and shape brows. There is a fab brush on the other end to groom your brows too. 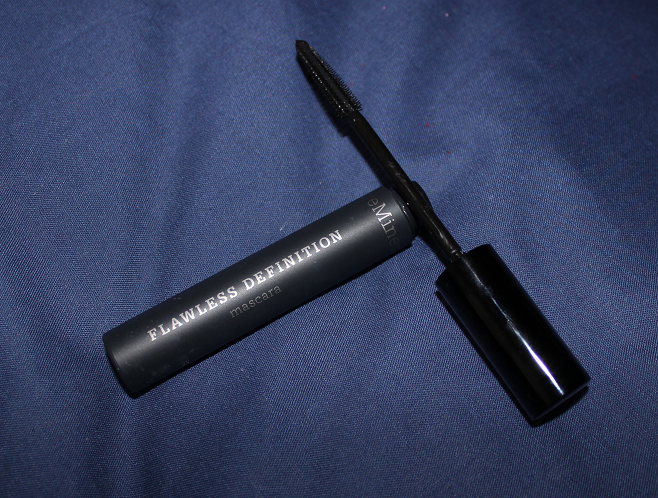 I would say the shade is a little too dark for me but I quite enjoyed using this as I don't tend to use brow products apart from a clear mascara! If you fancy trying some bareMinerals products I recommend you watch out for a TSV (Today's Special Value) deal on QVC as you can often get around 7 products for just under £40. They are amazing value and it's a great way to try products you wouldn't normally buy on their own. For upcoming information on QVC Beauty TSVs, it's definitely worth checking out Catrine's blog as she always seems to have the latest information on these! 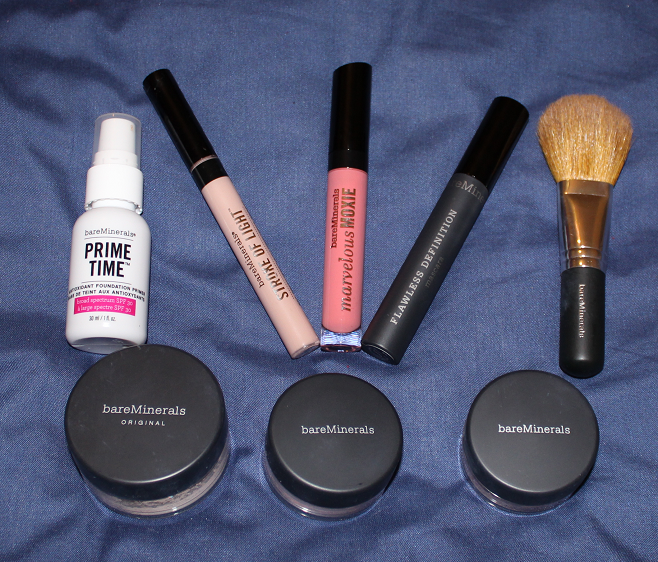 Have you tried bareMinerals makeup? Wow this makes your skin look amazing but still lets your freckles come through! !